Palm Beach Police and the U.S. Coast Guard were on the scene this morning where a man drove the Ferrari off a north dock and into the Palm Beach Inlet. 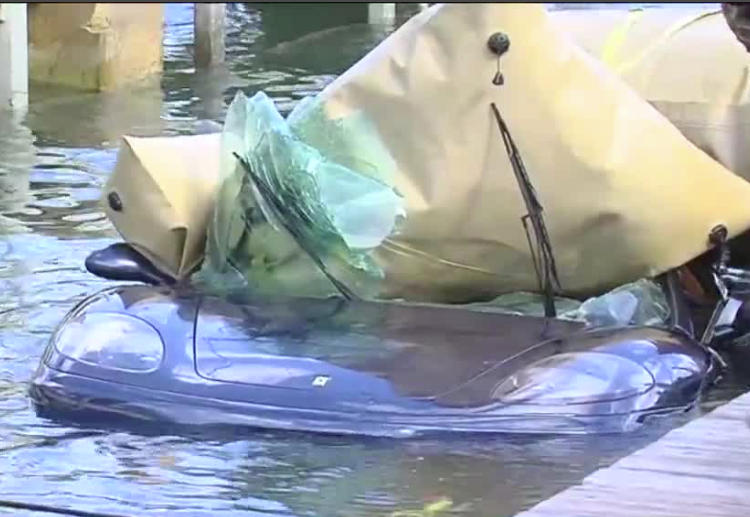 PALM BEACH, Fla. -- Palm Beach police and the U.S. Coast Guard were at the scene of a dock Wednesday morning where a man drove a Ferrari into the Palm Beach Inlet. Fortunately the driver escaped the submerged car uninjured. A passing boater helped him out of the water and took him back to shore. The car sank approximately 30 feet below the surface. Divers were able to attach inflatable "lift bags" to it, raising it to the surface where it was towed underwater to a Riviera Beach boat ramp and brought the vehicle back on shore.